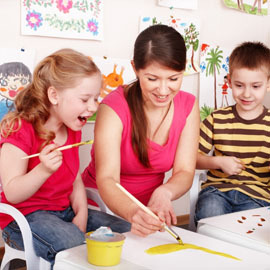 First Class Child Development Center’s management/staff are professionals who are dedicated to providing your child the caring and emotional support they require in addition to providing hands-on and developmentally appropriate activities from which he/she can best learn and grow. 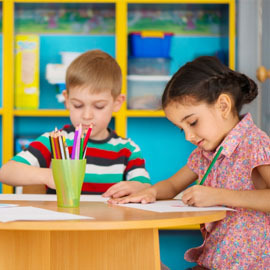 Our management/staff qualifications and child-to-teacher ratios meet or exceed the National Association for the Education of Young Children’s (NAEYC) criteria and AdvancED’s requirements. 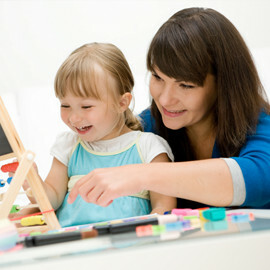 Our Executive Director/Owner holds a Masters degree in Business and a specialization in Early Childhood. The Executive Director is actively involved in managing the financial, administrative and personnel functions of our business. Our Director of Curriculum holds a Teaching Certificate as well as a bachelor’s degree and brings many years of experience working with preschool and elementary children. The Director of Curriculum is responsible for developing and monitoring our center’s curriculum, staff training, recruitment and team building. As quality staff is fundamental to our high standards, First Class Child Development Center employs only highly qualified staff. An early childhood specialist who is degreed in either Child Development or Early Childhood Education or a related field teaches each class. Some teachers hold a state teaching certificate. The balance of the staff has either studied Early Childhood or has had multiple years of experience. We acknowledge our employees as dedicated professionals. As such, we encourage and support their professional growth and development. In addition to our daily management and staff, we contract with resource teachers in specialized areas of curriculum such as music, movement and Spanish. These teachers provide enhancement to our curriculum by teaching in each of the preschool and elementary classrooms at least once a week. As specialists, these teachers have either a degree in their area of discipline and/or a wealth of experience.